Significant Small Ships of 2010 includes a wide variety of the most innovative, trend-setting and interesting commercial craft up to 100m in length delivered in 2010 by ship and boatyards worldwide. 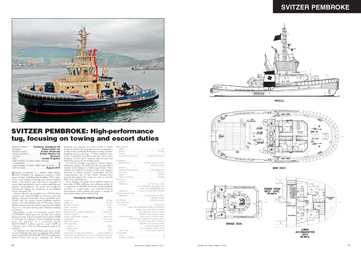 Each vessel presentation comprises of a full page, with colour photograph, a detailed technical description, the main particulars in tabular form and a list of major suppliers. Significant Small Ships of 2010 provides a wealth of information in a readable format, and features 30 of the most innovative and important commercial designs completed last year worldwide. 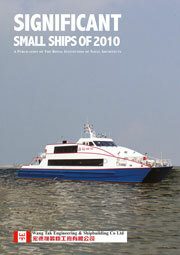 Significant Small Ships of 2010 can now be ordered, and is available in printed or USB format.